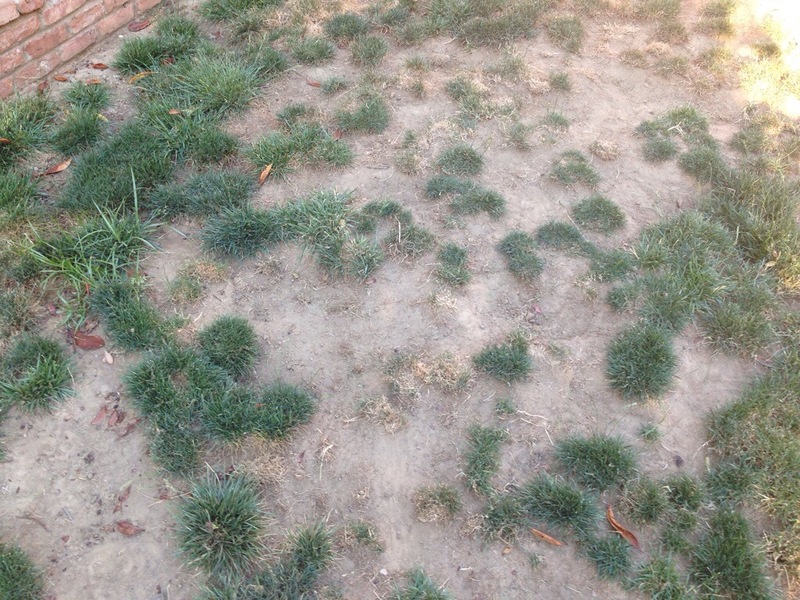 A barren wasteland of dirt that was once weed infested grass…There were two options, resod and start fresh, or get creative and drought “appropriate”…We went with option número dos. If you haven’t heard, Northern California is under extreme drought conditions and even though there is talk of El Niño (freakish storm systems that finally bring rain every five years). We knew we’d be back to drought conditions again. In our previous home we knew flagstone works for both us and the two bruisers. They like to sunbathe, we like less dust and dirt. However with this go- around we’d change it up a bit. 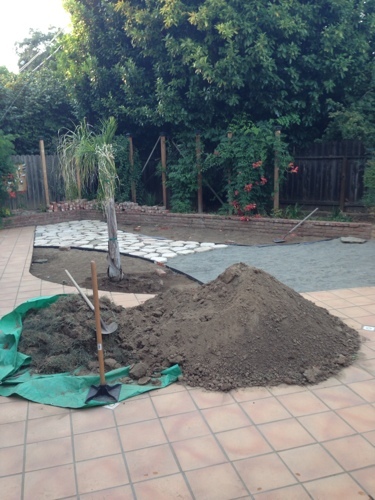 Instead of real flagstone and piles of DG (decomposed granite) we’d opt for the faux flagstone and a product called Gator dust. Why? Well, to be honest as we’re getting older we appreciate the easier and less expensive approach to projects. 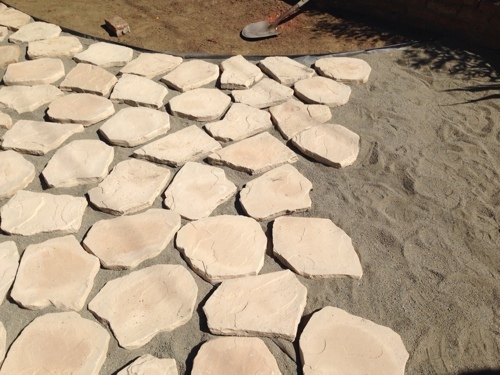 Plus Gator dust is a polymeric stone dust that hardens to a mortar-like joint when in contact with water. YAY FOR LESS DUST! 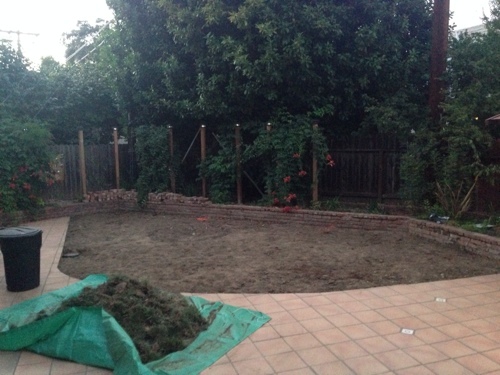 Followed by laying down said bender board, weed block, leveling sand, and the flagstone. 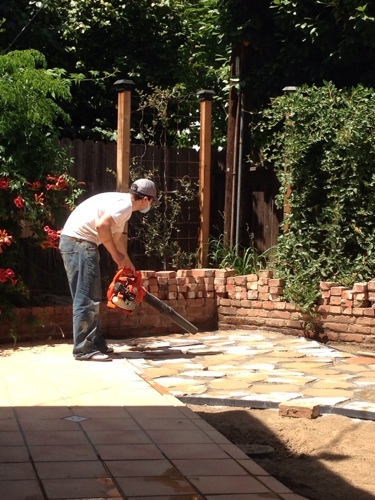 Then spray the stones, by carefully following the water schedule explained in the directions. Once done with the water, using a powered blower, blow the remaining puddles away. 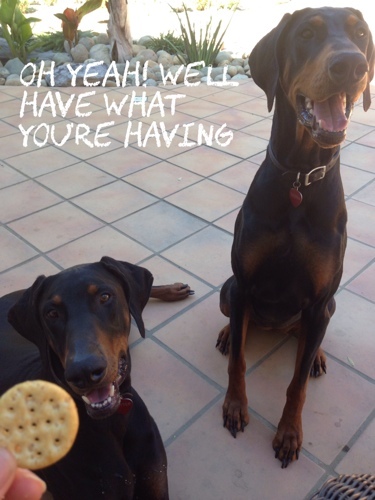 Let the patio cure for 24-48 hours, keeping the pups off it (if it’s even possible). 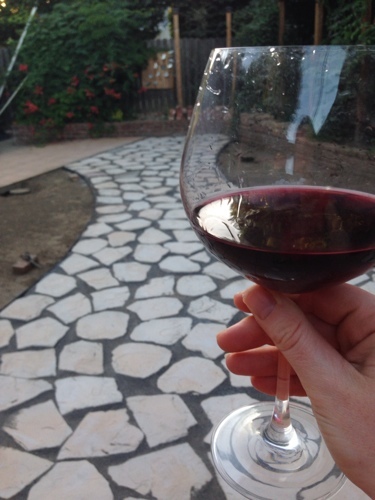 Then sit back and enjoy with a glass of well deserved vino. Cheers and Happy Sunday everyone! 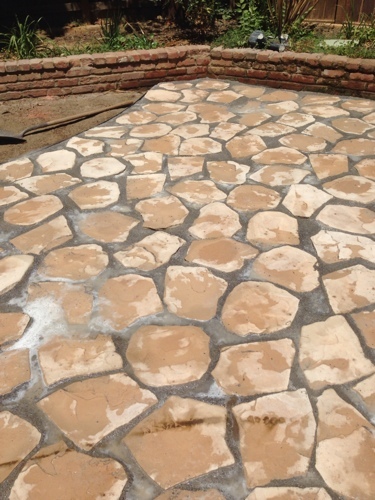 This entry was posted in Projects and tagged canyon oak flagstone, diy, faux flagstone, flagstone patio, gator dust, Home Depot, patio, water wise backyard ideas by Tandra. Bookmark the permalink.